We had the opportunity to do a review for a wonderful company. It is called Rock Paper Scissors Etc. Boutique jewelry for a cause. What started as a hobby turned into a business for our main mom, Jennifer Alhaj. In 2008 Jennifer started making glass tile pendants with fun whimsical designs for her friends and family as gifts. Then one spring day in 2009, the director of her daughters dance team mentioned that she needed to have a successful fundraiser so that their team could go to competition that year. She had an inspiring answer to their delimma! 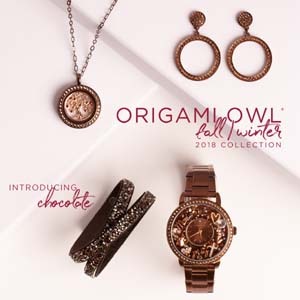 Together, they came up with the idea to quickly put together an order form with 12 fun designer necklaces and sell them like a traditional school catalog fundraiser. They were amazed and surprised when thirty members of their dance team sold over 500 necklaces in 2 weeks!! They knew they were on to something and thus Rock, Paper, Scissors Etc. was born. To date RPSetc has helped deserving charities, schools, youth groups, cheerleading and dance teams raise over $100,000.00 for their cause. Jennifer Alhaj is the proud owner of Rock, Paper, Scissors Etc. Together, with her friends and family she continues to help special causes raise the much needed monies for their organizations. She is a proud mom of four wonderful children, the wife of a loving husband and the friend of many supportive women. Together, we CAN make a difference! We had the opportunity to review a Girl and Matching Doll Necklace Set. These would make perfect gifts for any occassion. I just love them!! The funny thing is we didn't pick the picture displayed on them. 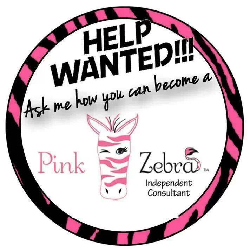 My daughter loves zebra print and pink is her favorite color. Needless to say she was freaking out when she saw them. I have to add a bit of my personal review of this item. Doing marketing and promoting for so many businesses I always look at the packaging. It was top notch with this wonderful business. Just look at this packaging. Both necklaces were attached to a business card which is designed beautifully too. It is then placed in a small plastic package that resembles a purse. Just absolutely adorable. My daughter loved it and so did I. She then put some blue crinkle paper inside which goes with the colors that brand their business. Inside the mailing box she placed this along with 2 more business cards, a beautiful flyer and a beautiful handwritten note. I have to say, that when I receive packages like this it really leaves an impression on me and I know it will with their customers too. We are constantly using the items we receive to review. Not only in our home but out in public places too. I get asked all the time where I got a certain item. I am usually pretty good about remember them but this one will definately be easy for me due to the branding and packaging. Start shopping through their pendant collections, accessorize with their matching earrings and bracelets! Or Create your own custom piece using your logo, original artwork, or favorite photos! They are now introducing Sparkleberry Jewels interchangeable earrings! You can find all the info about their Fundraisers also on their site. They have had great success in their fundraisers so I highly recommend you check it out or contact them for more info. Have a successful fundraiser with RPSetc! * Earn 50%...Half is easy math! Please comment on what you think about the necklaces and their packaging. penny? I'm nott very web savvy so I'm not 100% certain. Any recommenndations or advice would be greatly appreciated.